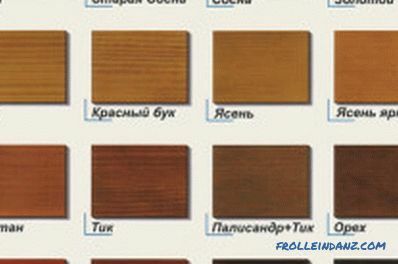 Wood lacquer is a set of substances that can form a film in organic solvents and water. After the varnish is applied to the prepared surface and dries, it forms a transparent and durable protective film. Varnishing is an effective way to protect against decay of wood. Wood varnish should be able to preserve and emphasize the beauty and texture of wood. 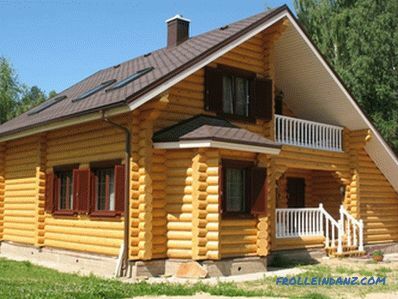 It is used in cases when you need to give a wooden product special decorative properties and appearance. On top of that, wood varnish protects wooden products from rotting. It can be used to create thermal insulation protection as well as protection against the appearance of corrosion. The color and transparency of the lacquer film play an important role in maintaining the texture of the wood surface. 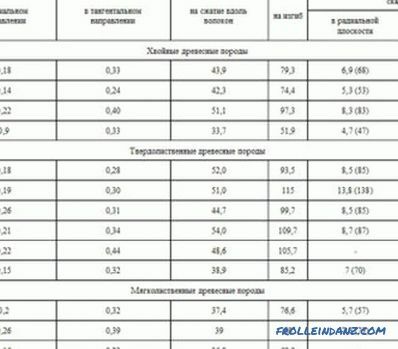 Table of wood varnish colors. Oil varnishes initially contained only solutions of natural resins. Recently, artificial resins with modified natural oils have been introduced into the oil lacquer, while adding solvents and dryers. The use of artificial substitutes significantly reduced the cost of production and made the price of oil paint for wood widely available. The oil varnish, after being applied to a treated wooden surface, forms a strong film that has a yellowish tint. Most often, oil varnishes are used for finishing the floor and for interior work. 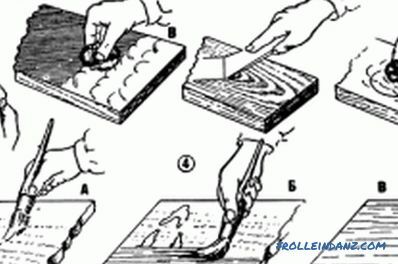 Alkyd varnishes for wood are made of glyphthalic and pentaphthalic synthetic resins with the addition of dryers. Sometimes these varnishes are also called oil (synthetic oils are used as a solvent), but according to their characteristics they are considered to be much higher. Alcoholic paints and polishes make the surface very durable and give it a high gloss. 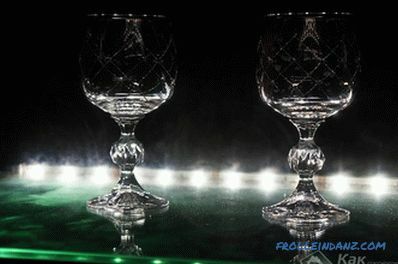 Such coatings are easily polished, but not very well protected from moisture. Alcohol varnishes and polishes made from natural resins are currently available in very small quantities. Usually they are used in the manufacture of musical instruments. Alkyd-carbamide varnishes - contain a solution of alkyd and amino formaldehyde resin. Such varnishes can dry in air at normal temperature only after the introduction of acidic hardeners into the composition. They must be added to the varnish immediately before use. After the introduction of hardeners, the material has a limited shelf life (depending on the properties, from 3-4 hours to 1-2 days). They form a very hard film that has excellent wear resistance. 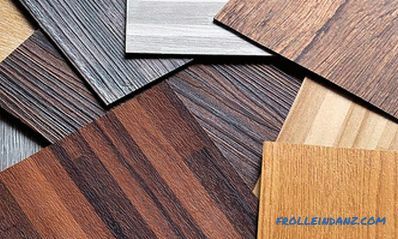 This material is used for varnishing parquet, furniture and other elements and objects to be used indoors. Nitrocellulose lacquer is produced by mixing cellulose nitrate in a mixture of different organic solvents. To regulate the properties of the material, resins are added to the composition. With the help of nitrocellulose lacquer, you can create a very hard and durable film that will be very transparent and will have almost no shade. Nitrocellulose lacquer is used for finishing wooden elements and products that will be used indoors. Polyester varnishes are a material containing a large number of different components. When applied, the master requires the utmost precision of application. The coating on its basis practically does not shrink, therefore forms a thick film that has a very high resistance to the negative effects of water and a number of different reagents. Acrylic lacquer is a solution of polyacrylates in organic solvents. The resulting film is weak to abrasion. 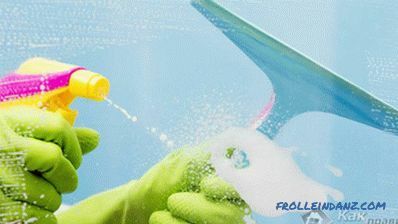 The material is environmentally friendly, it is recommended to use in children's rooms. 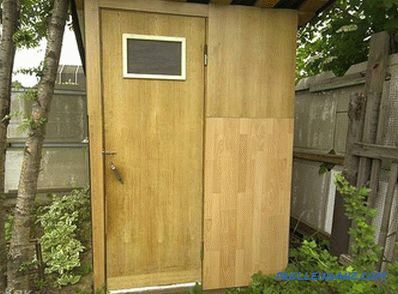 Polyurethane varnish has extremely high mechanical strength and wear resistance. It is used to cover the floors in the halls of palaces and museums, musical instruments. When using it, you must strictly follow all the requirements specified in the instructions. This material has a high cost, which is justified by its high performance. Polyurethane water-based lacquer is developed very recently. It carries all the advantages of acrylic and polyurethane analogues: high abrasion resistance and environmental friendliness. When using it, it is better to use hardening additives: this will significantly prolong the service life of the material. Varnishing and painting wood . What characteristics should the surface have after varnishing? Do you have experience in applying paintwork materials? For which room or product will the material be ? How much money are you willing to spend on finishing wooden surfaces? In many ways, the choice is determined by personal preferences. Some people attach great importance to environmental safety and choose water-based material. It does not smell and is absolutely safe for human health. For this reason, it is often chosen for the decoration of children's furniture. Professional furniture makers almost do not use it, because it gives the surface dullness after drying. Alkyd species is easy to use and affordable, so they can be recommended for beginners. This material can be easily washed off with white spirit if mistakes were made in the application. Polyurethane types are most often used by professionals. Such material is more durable and creates a strong film. Apply it with a sprayer. Furniture oils are more intended for connoisseurs and connoisseurs. Apply them manually with a tampon. The surface so covered looks very stylish. No less important is the question of choosing the color of the material. 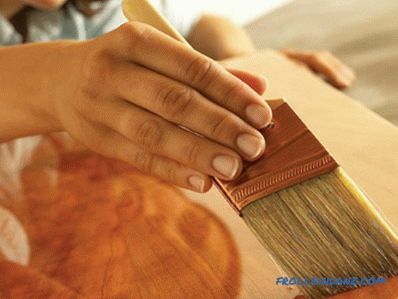 Here the master decides what is better: to preserve the natural color of the wood or to give it a completely new look. But even colorless varnish can give a tree a yellowish tint. This must be considered. If you have difficulty with the choice, a specialist in the hardware store will easily help you determine the desired shade. It should also be remembered that each type of varnish has its own technology of application (with a brush, roller, spray gun or swab) and its time to complete drying. Therefore, before using, carefully read the instructions.